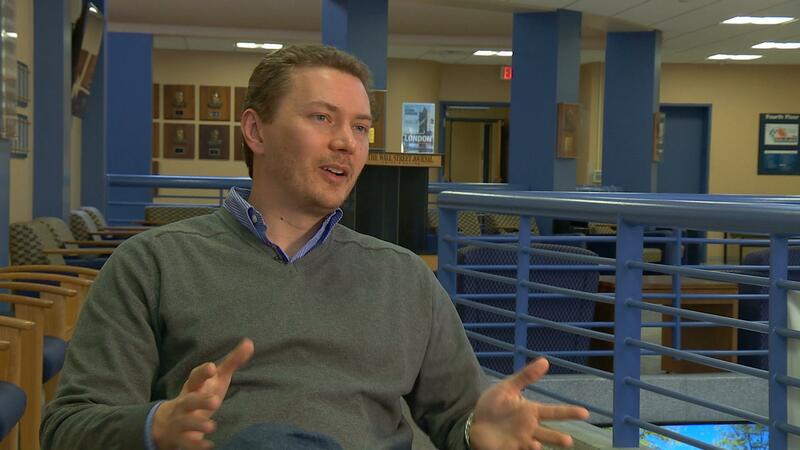 What Could Help Create Jobs in Southern West Virginia? Things are looking up for the coal industry, at least a little bit. Over the past few months, there’s been a slight uptick in coal production, caused by an increased demand for metallurgical coal. It’s the type of coal that’s used to make steel and mined in West Virginia . Even so, only 80 million tons of coal were mined in 2016, the lowest level in several decades. 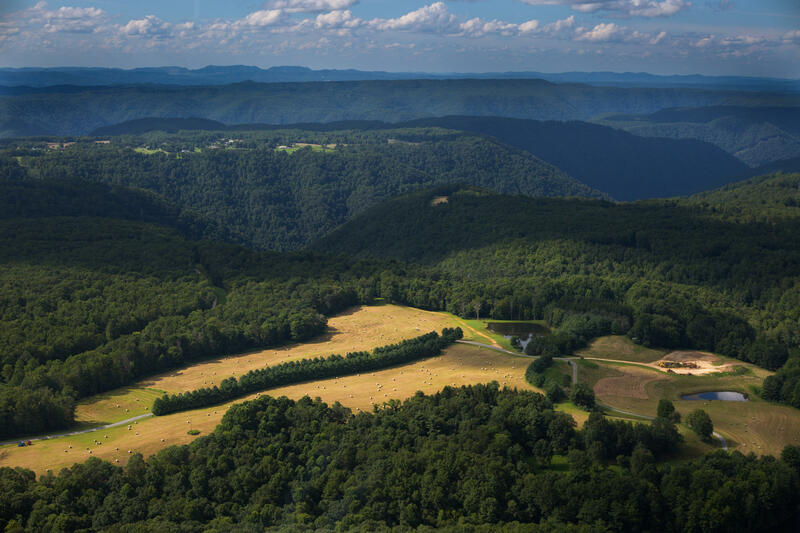 Residents and experts weigh in on what could help bring jobs to southern W.Va. The small boost that economists are forecasting comes after several years of intense decline in coal production, though, causing thousands of miners to lose their jobs, most of them in southern West Virginia. Now, some people in the region are looking for ways to diversify the region’s economy and, in turn, decrease its reliance on a boom and bust industry. Eight years ago, Boone County had nearly 4,000 employees working for the coal industry. This area hasn’t seen that many coal mining jobs since the 1980s. Today there are 600 mining jobs. Former Boone County coal miner Eliezer Flores said he’s been trying to sell his house since last summer. But like many homeowners in southern West Virginia, he said he doesn’t see much hope in finding anyone willing to buy. Flores worked as a coal miner in West Virginia for more than three decades. His main concern now is for his health insurance and pension. Former coal miner Eliezer Flores lives in Boone County. He said he’s been trying to sell his house since last summer. But like many homeowners in southern West Virginia, he doesn’t see much hope in finding anyone willing to buy. After living in West Virginia for 44 years, Flores said he wants out. Others want to stay, like 37-year-old Lola Cline, from Mingo County. She worked in the coal industry for about five years. Lola Cline is from Mingo County. She worked in the coal industry for about five years. Cline and four other laid off miners are now farming on top of an old strip mine in Mingo County, raising chickens, pigs and goats, as part of a project called Refresh Appalachia. A few months ago, Cline got a job in a retraining program, called Refresh Appalachia, a project of the Coalfield Development Corporation. Cline and four other laid off miners are farming on top of an old strip mine in Mingo County, raising chickens, pigs and goats. But the program doesn’t pay nearly as much as she earned before - nearly $60,000 a year plus overtime. That’s when she was working for mining companies reclaiming strip mines. 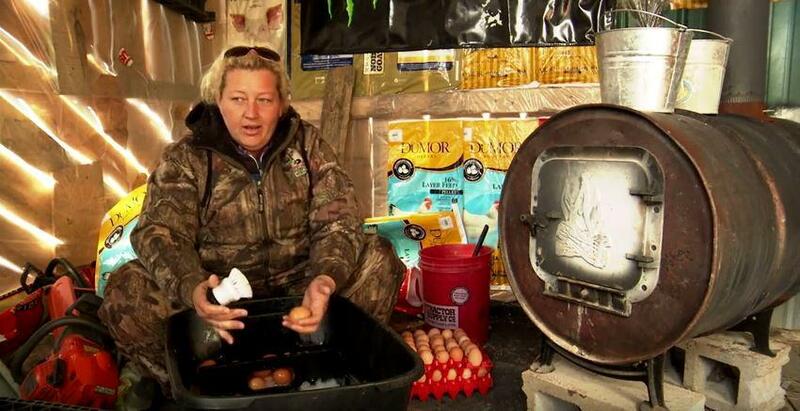 Now, she earns about $24,000. As a part of the program, Cline is also getting her Associates degree in Applied Science from Southern West Virginia Community and Technical College. She hopes that more coal jobs will return to Southern West Virginia, but she’s not too hopeful that it will ever be as well-paying as it once was. “There’s rumors that they’re starting to hire more. I just don’t know if we have the coal left. These mountains have been mined lots,” Cline said. Chris Hamilton, Senior Vice President of the West Virginia Coal Association. Chris Hamilton, Senior Vice President of the West Virginia Coal Association, at his office in Charleston. 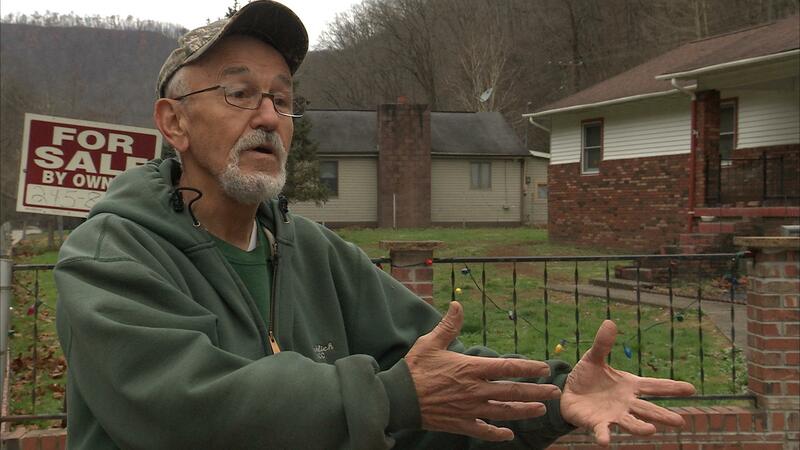 Hamilton has been working for the West Virginia Coal Association for three decades. In that time he’s seen a gradual decline in coal jobs. But the loss has been even more dramatic in recent years. 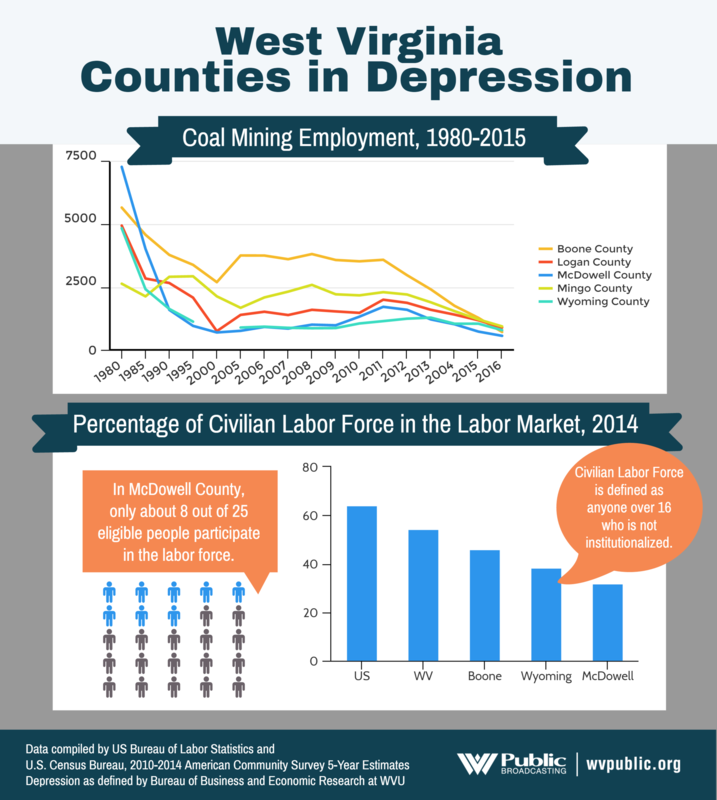 Since 2012, West Virginia has lost about half of its coal mining jobs. “Words can’t describe what some of our mining families are experiencing or going through,” said Hamilton. Since 2012, the state went from having 23,000 mining jobs to 11,000. Most of these losses have been in southern West Virginia. 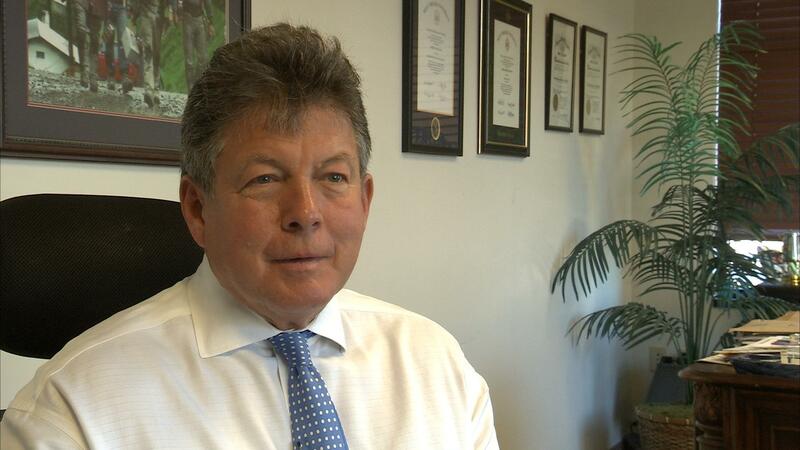 “We think export demand is actually going to improve in coming years. We think that’s going to improve with Trump, we thought that would happen with Hillary,” said Deskins. The third major factor affecting coal is the regulatory climate. President Trump has vowed to kill the Clean Power Plan, which would require coal fired power plants to reduce carbon emissions. That might help coal, but Deskins said it won’t bring back most of the lost jobs. Back at the West Virginia Coal Association office in Charleston, Chris Hamilton said he believes Trump will do more for the coal industry than Clinton would have. But like Deskins, he doesn’t see a lot of coal jobs coming back, at least not to levels the state saw in 2012, or in the 1970s. “You can not go back,” said Hamilton. John Deskins agrees that the coal industry won’t return to what it once was. He believes the best long term solution for southern West Virginia is if new industries and businesses open up in these areas. Deskins said it will take some time for entrepreneurs to find what works for these communities. In the meantime, he said legislators can help by providing more education and by fighting the opioid epidemic to make the workforce more employable. Getting a college education is a far off dream for many kids from the coalfields. At the Mingo County Refresh Appalachia farm, Lola Cline is getting paid for her work on the farm and the time she spends in college classes. After she and her co-workers feed the animals, they’ll head down the mountain to their classroom in Williamson. After she gets her degree, Cline said she wants to continue farming, and maybe even go into business selling food, or helping turn strip mines into farmland.